December is here, which means two things, busy clients and the anticipation of holiday festivities. While each month in 2016 has offered up exciting challenges and design work, we’re happy to cap off the year with three website redesign launches. Two out of the three website redesigns feature a cinemagraph, which is the product of a still photo with minor moving components. From a creative perspective, the use of a cinemagraph provides intrigue as well as a point of difference. That said, all three sites reflect the evolution of web development and design which we are proud to have worked on. 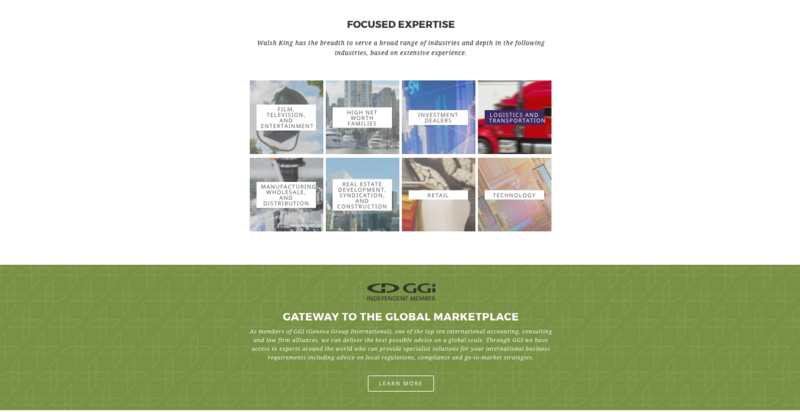 Let’s dive into the three brand new website redesign launches for the following clients. 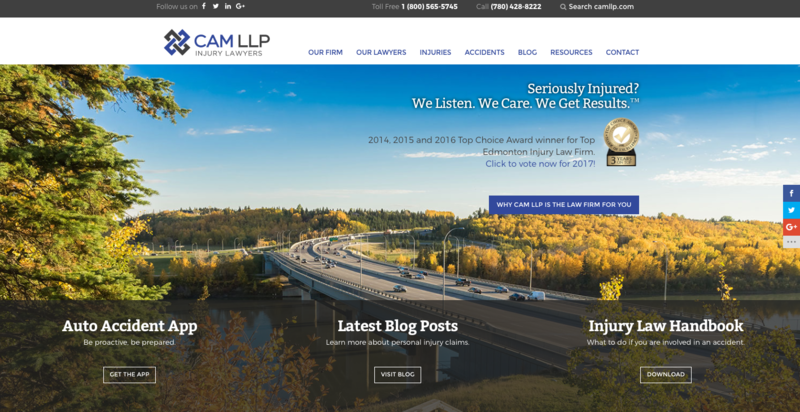 We redesigned Edmonton personal injury law firm CAM LLP’s new website and kept it fresh by using vibrant photography of the Quesnell bridge in Edmonton on the homepage, followed by a guided illustrated diagram through how personal injury claims work. The step-by-step illustration ensures that any visitors to the site aren’t searching too far for this vital information. 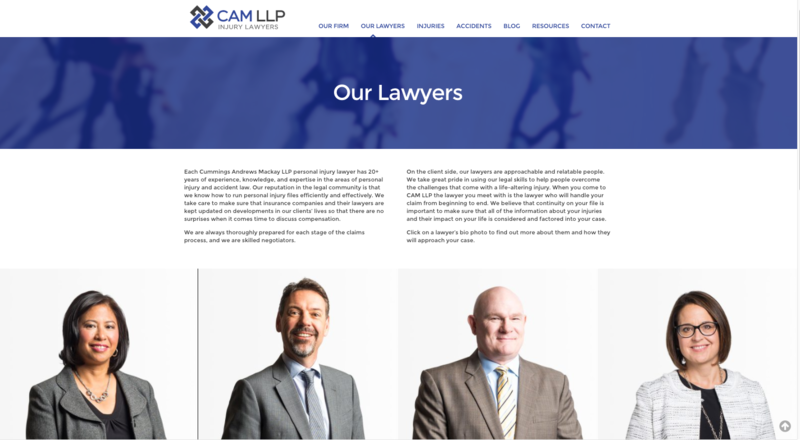 Using their signature brand colours, we also helped design a brand new logo, that represents intersections and roads which speak to the work that CAM LLP does with those involved in on-road collisions. 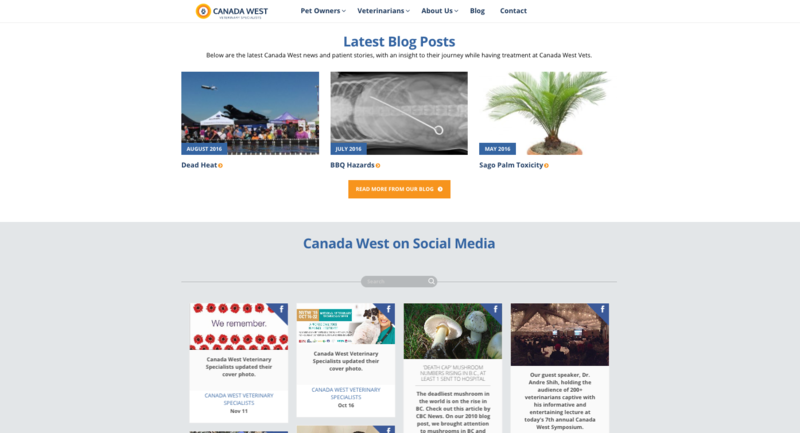 Vancouver veterinarians Canada West Vets new site homepage displays a cinemagraph as a point of interest. 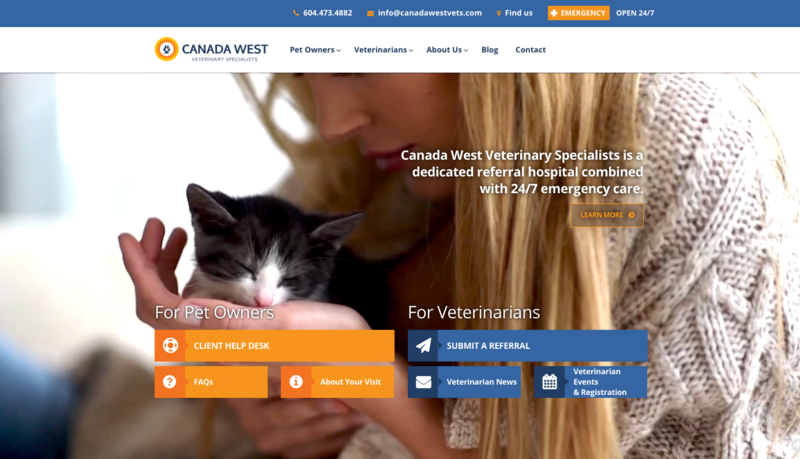 On Canada West’s site, the homepage features a kitten with only its ears moving. The kitten cinemagraph adds an element of fun while drawing viewer’s interests and having them scroll through the site. Additionally, the social media integration on the homepage scroll aligns nicely with their brand identity and consistent social media presence. The new site hosts the same content but in a contemporary and modern interface. 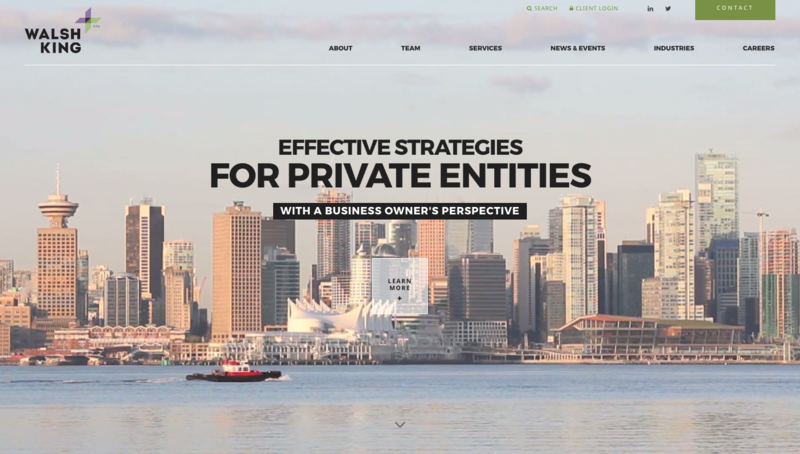 Following the previous site launches, Vancouver Chartered Professional Accountancy firm Walsh King CPA’s new website also features a moving cinemagraph. This time, it’s of the Vancouver skyline with a ferry crossing Coal Harbour. The site aligns itself with Walsh King’s brand identity as a leading Vancouver professional chartered accounting firm. The site is accompanied by a new logo. The Walsh King logo redesign reflects the firm’s accountancy heritage, the essential “addition” to your business with a nod to minimalism. The website itself demonstrates a sophisticated feel with clean imagery, easy navigation and well-rounded content. We hope you enjoyed this tour through the new website redesign launches, and have a safe holiday season. See you in the new year.